What a great day! 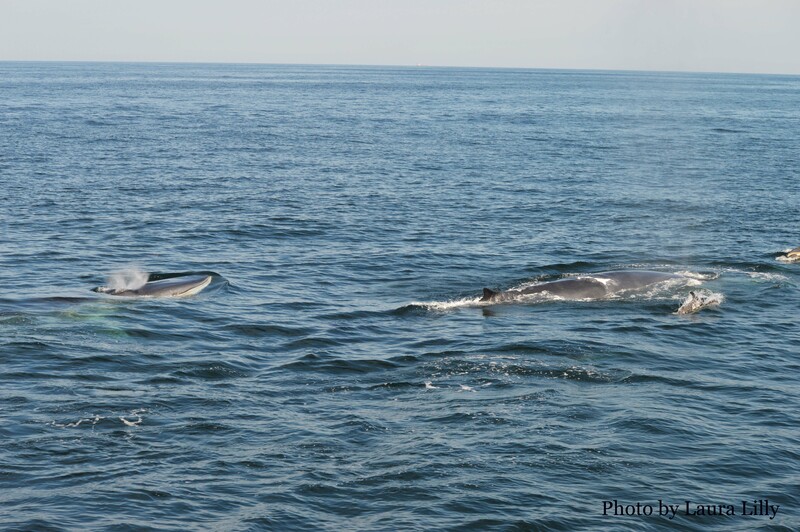 The morning was a bit choppy, but we were able to pick up 3 different fin whales about 6 miles from Gloucester. We got some of the best looks I’ve had all year. The whales were literally right beside the boat a couple different times. Thanks to my friend Beth Brau for these great pictures!!!! This afternoon, the wind dropped off and there were very few white caps. 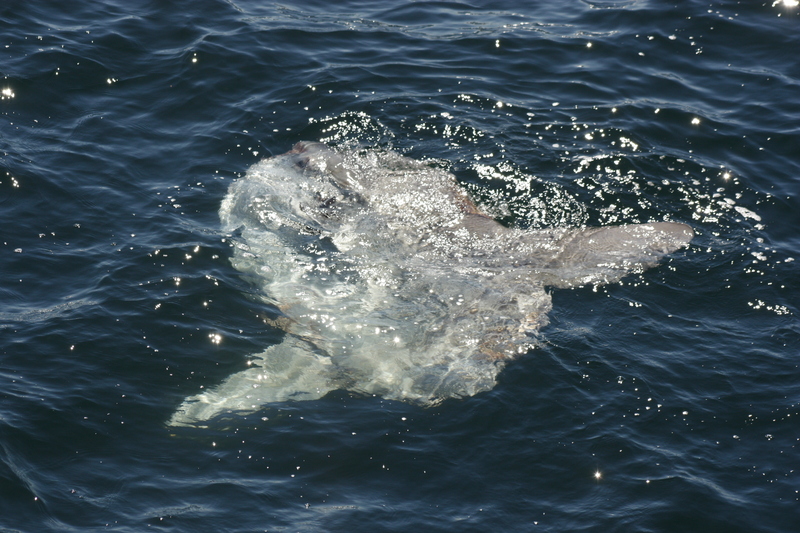 The first thing we saw was a Mola mola, or ocean sunfish. the most exciting part is that it breached!!! It literally dove and then jumped out of the water, not once, but twice. So exciting!!! I’m hoping to post a video soon, but for the meantime, here is a picture of it. 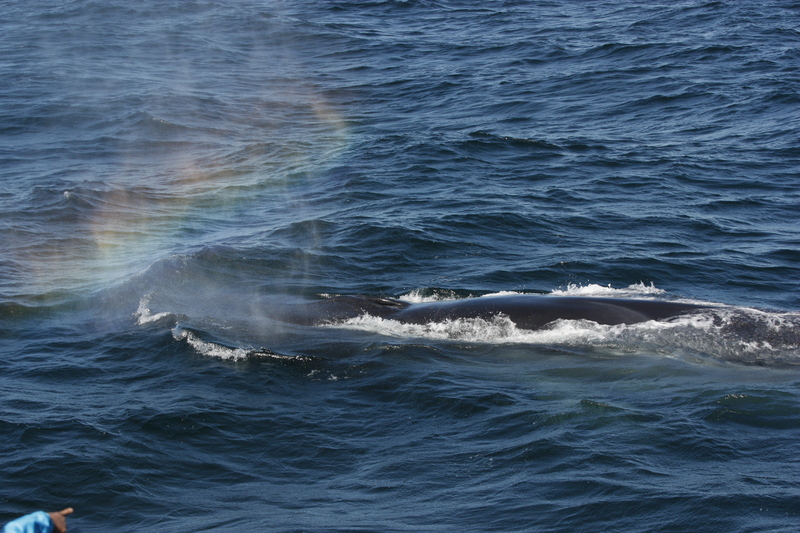 We kept going a little bit and found one of the fin whales from the morning. It stayed at the surface for about 12 breaths each time it came up. Every time it surfaced, it would raise its tail stock out of the water like it was going to dive. 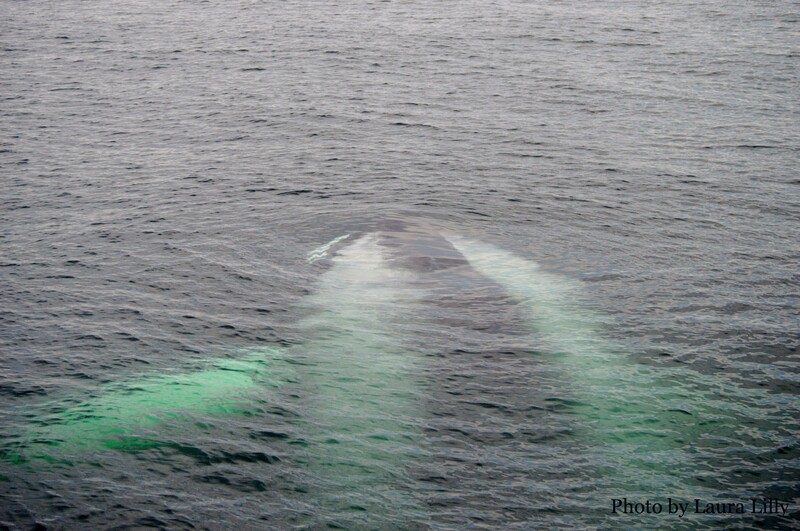 Then when it did go down for a dive, the surfacing looked like a regular fin whale surfacing. What a great day to be on the water!!!! What an incredible couple of days! We were lucky enough to spot pods of dolphins both Saturday and Sunday. 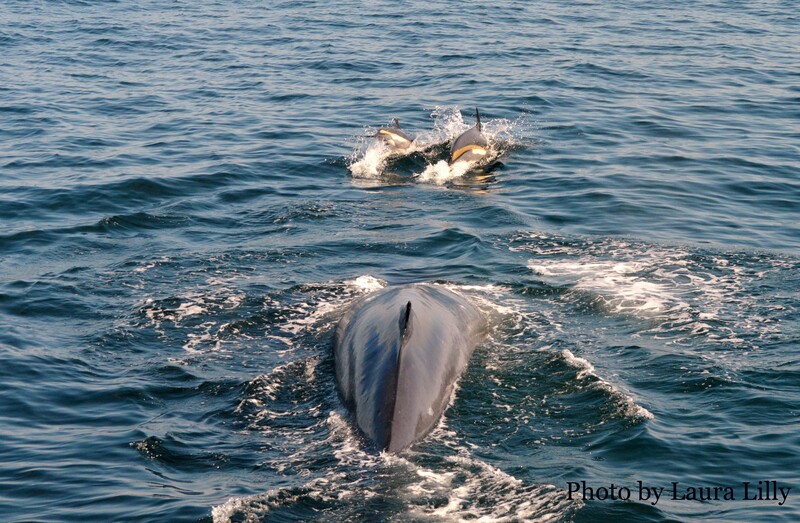 Often times when we see the Atlantic white sided dolphins, there is a fin whale nearby. 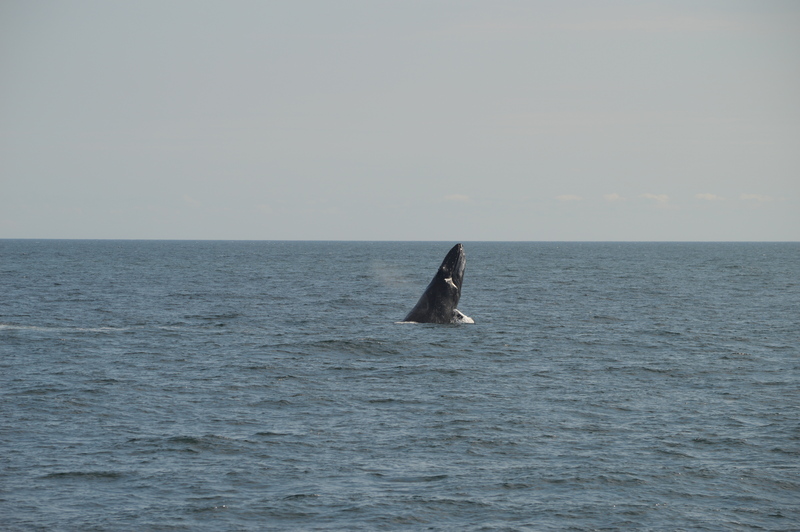 This was the case again, with one of these huge whales surfacing right next to the boat. 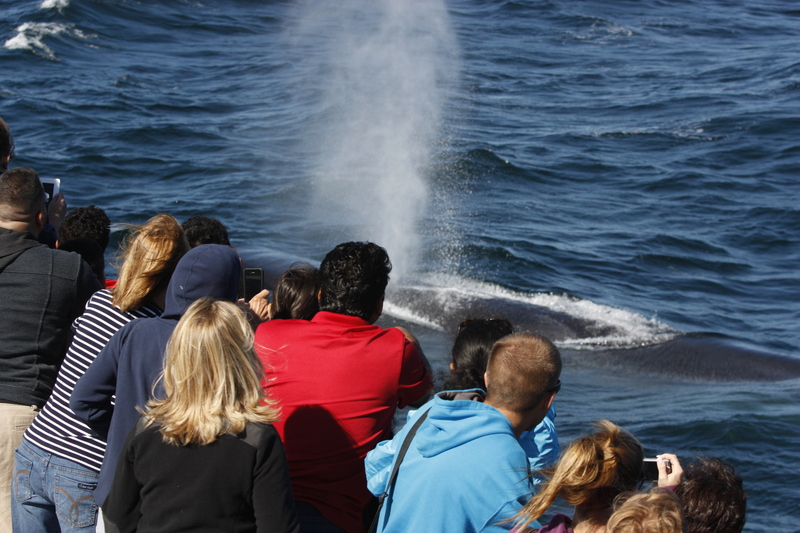 We were shocked when a second whale appeared right next to it! 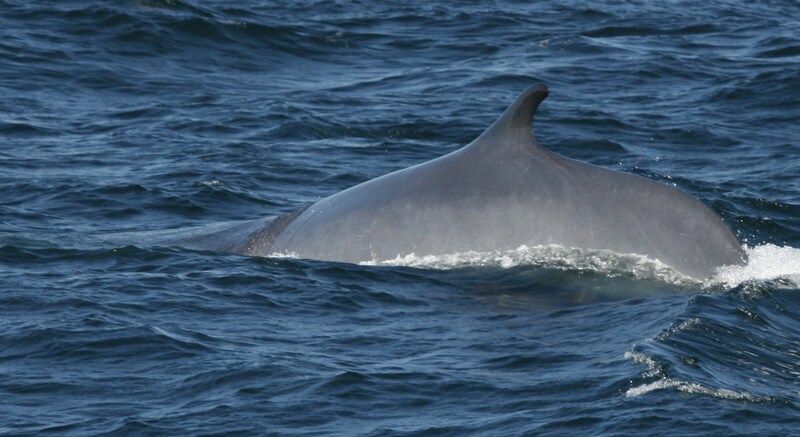 As baleen whales, fin whales can sometimes form short term associations, but we don’t see them very often. 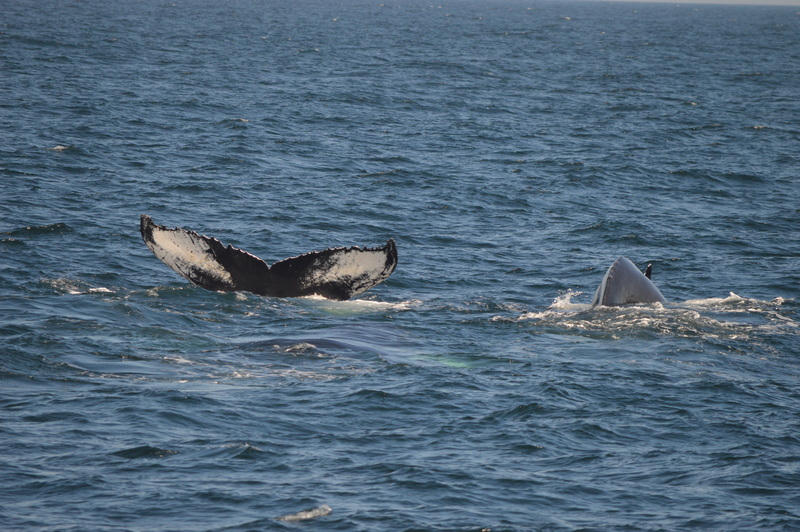 It was just so awesome to see these two whales with the dolphins swimming around them! 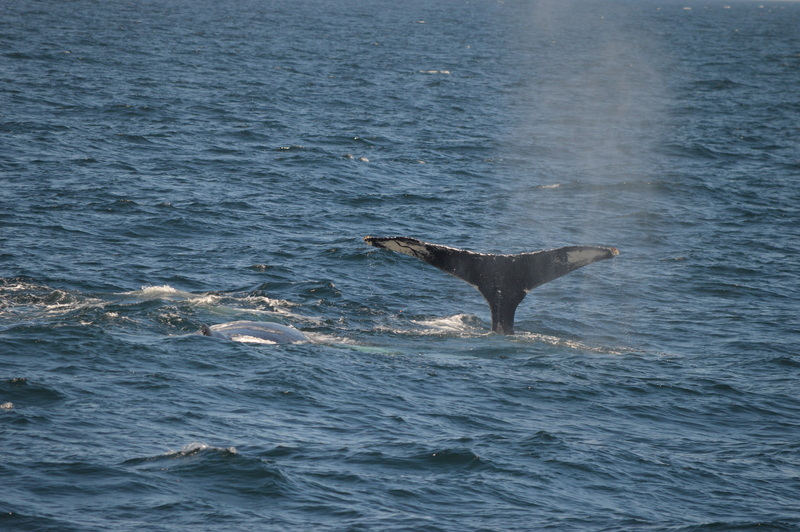 On Sunday we were watching Mogul, a humpback whale. He was staying in one general area and soon we began seeing some bubble clouds indicating that he was doing some feeding under the surface. One thing about watching whales is that after they dive, we never know when they will be back at the surface or where they will be. I happened to look down over the starboard side just as Mogul was swimming from directly under us, water pouring out the sides of his mouth as he made his way to the surface! In the photo below, you can see some of the pleats expanded on the left side. One of my favorite sightings from this year! We saw something today that we haven’t seen all season! Humpbacks Pinball and Nile have been in the area for the majority of the season, and recently we’ve added a new whale to our list- Scylla. Today, all three whales were swimming together. We don’t know exactly why whales form associations, but we do know that they last for fairly short periods of time. These three were together for both our morning and afternoon trips. During the afternoon, Nile was swimming between the other two, and we watched as she slowly turned onto her side and started slapping her pectoral fin against the water. She repeated this a few times before continuing on swimming. It was so cool to see these three together today! 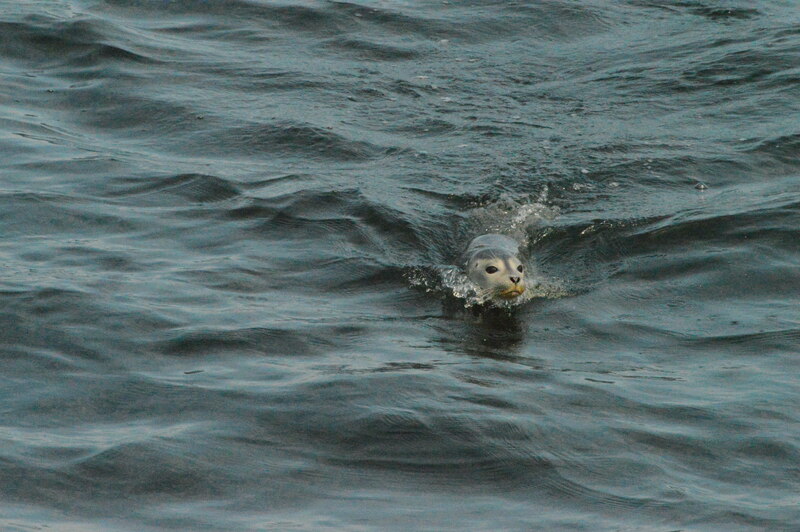 We started today with some good looks at Nile, and also a young harbor seal. The seal was staying at the surface for quite a while, so we got some great looks before heading back over to Nile. Suddenly, she breached almost completely out of the water! It was such a surprise, and we had no idea if this kind of behavior would happen again. Everyone was still looking in the area where she dove, and she surfaced with four consecutive chin breaches! Afterwards she began doing some slow traveling before making our way back to Gloucester. A great day!